Family conflict comes in many forms and affects us all in different ways. Sometimes these disputes cause great stress and deep resentment, and can seem impossible to resolve. A neutral, third party may be able to help. We provide a full range of mediation services to assist individuals and families in finding flexible and lasting solutions to their family and relationship disputes. We also provide counselling services, whether on an individual, couple, or family/group basis. Our services are flexible and cost effective, allowing you the opportunity to resolve issues privately in the one forum, without going to court. Family Law Mediation (for disputes concerning relationship property, wills, trusts, and estates). 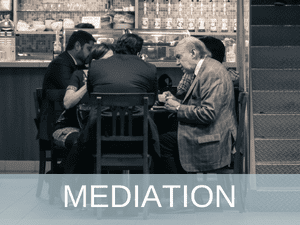 For Elder Mediation, FDR Mediation and Family Law Mediation follow the above links for further information specific to those processes. Our mediator was able to keep the situation calm, enabling me to remove emotions and focus on the issues.